I left the nest the best part of a decade ago. Heading off for university, I was excited about my newfound independence and the adventure that lay ahead of me, and in a lot of ways I've never looked back. But even now, several dorm rooms, apartments and houses later, I still feel like there's something missing in my life. Something that, the minute you leave home, you can never get back. Obviously I'm talking about my parents' fridge. Bottomless and automatically-replenishing, I had few better friends during my teenage years, and certainly none who were as giving. More often than not what I dove into that bad boy for was sandwich ingredients - which I would pile high onto each other in ridiculous fashion before trying to sneaky the snack up past my parents and into my bedroom. Well, they say practice makes perfect and I definitely had a lot of practice. 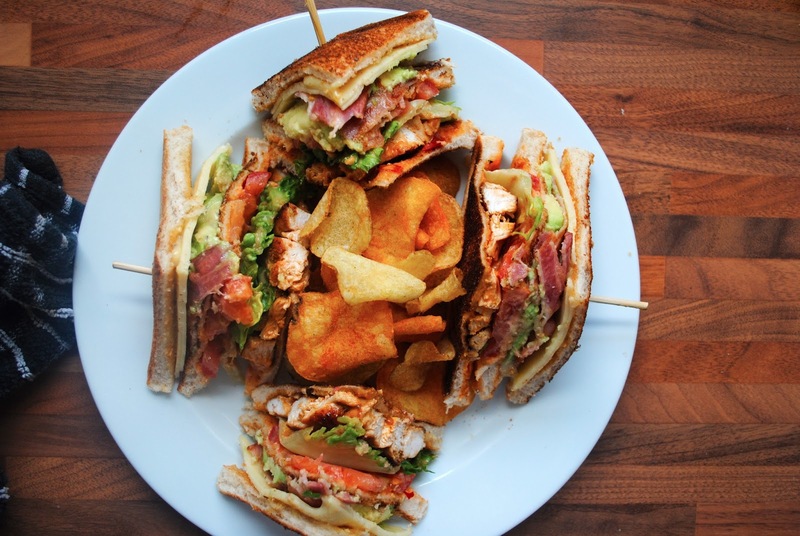 So here's my ridiculous, but perfect, chicken club sandwich. 10 years in the making...once a Fatboy, always a Fatboy. There is NOTHING better than homemade mayonnaise, and a sandwich of these epic proportions demands something a little bit special. Whisk together 2 egg yolks, salt and pepper and a tablespoon of dijon mustard, then very slowly add about 250ml of good quality olive oil. An electric whisk works wonders in these types of situations. I then split mine between two ramekins, adding chilli sauce to one and garlic powder to the other...huge flavours here. Great food doesn't have to be fancy. Just top ingredients and flavours that work well with each. 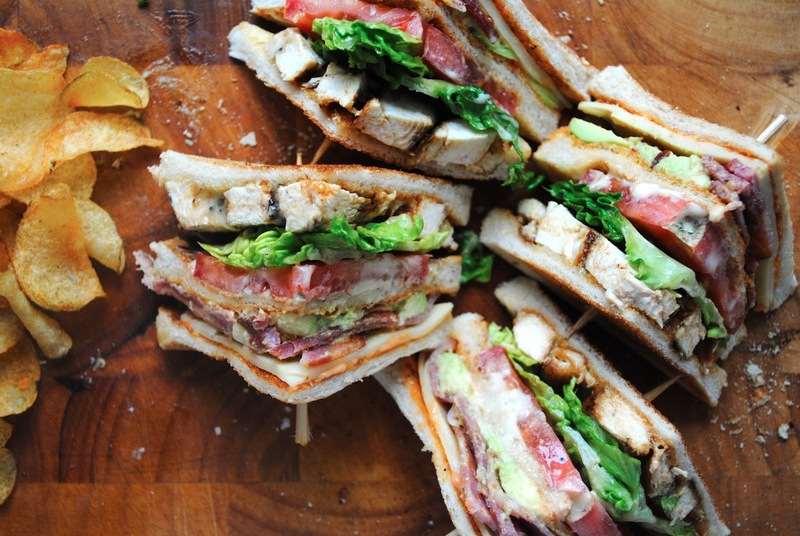 Lay out all of your sandwich fillings and admire them, then get ready to build. I genuinely believe that creating the perfect sandwich is artistry - no different than painting a picture or writing a song. You layer all the elements together just right and you'll end up with a masterpiece. That's what I tell myself at least. Toast your bread. IT'S GOTTA BE TOASTED. It's a scientific fact that toasting your bread makes any sandwich taste better. Chilli mayo x 1. I fried one butterflied chicken breast in a bit of olive oil, with some smoked paprika on both sides. 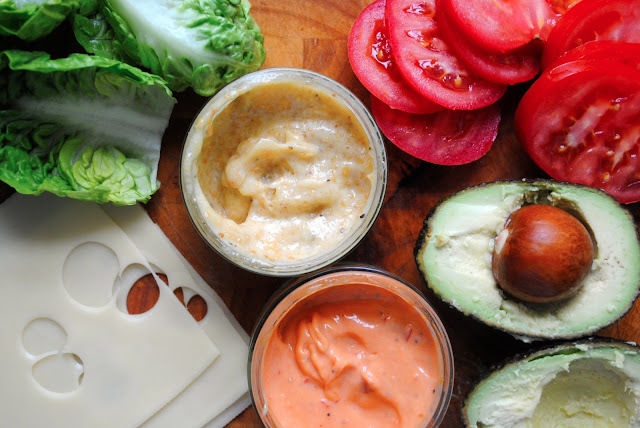 Slice it up and layer on your mayo. Keep it simple...stupid. Now I know you don't win friends with salad, but this is the perfect chicken club sandwich, and the perfect chicken club sandwich calls for baby gem lettuce and thick slices of tomato. The double-decker. A sandwich amongst sandwiches. Lather both sides with your choice of mayonnaise and then stick some ripe avocado on top. Holy guacamole this is looking good. Bacon. Streaky. Smoked. All of these things need to happen. Obviously there's gonna be cheese. A couple slices of Swiss should do the trick. Add a final layer of mayo-schmeared toast on top, spear with cocktail sticks, crack open a bag of potato chips and enjoy. You beautiful artist you. Find me a better looking sandwich than that. I dare you. I've just come across your blog because of Joy the Baker's retweet, and I love the posts I've flicked through already, but this is just WOW. I don't think it's possible to make that sandwich more amazing haha, I'll definitely be trying this! P.s. the parents' fridge comment, so true. hey thank you so much! i was thinking about this sandwich just yesterday actually...it really was pretty darn special. i'm not too ashamed to admit that my girlfriend and I shared one, and then I immediately went and made another for us. find me on facebook and send us a picture if you do try it out, would love to see how you get on!